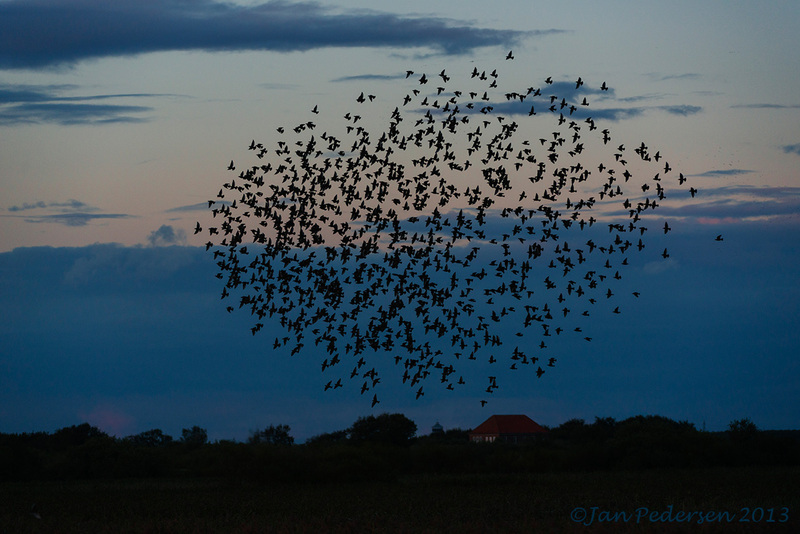 "Sort Sol" - Black Sun is a phenomenon where thousands of starlings are roosting together for the night when migrating south or north in autumn and spring. 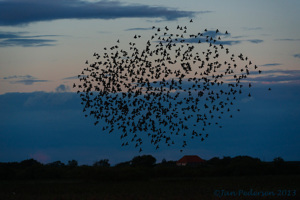 The starling are feeding on the fields in the marshlands of south-western Jutland in Denmark. As a protection against predators they are spending the night together. Henrik Karlsson﻿ and I are working on them since days back and despite our flock of 300 000 starlings - its a struggle to get the huge "ball" - the black sun, and the weather is not on our side either.